After the epoxy cures, trial fit the coaming to the base plate. Sand both sections prior to coating them with epoxy resin. 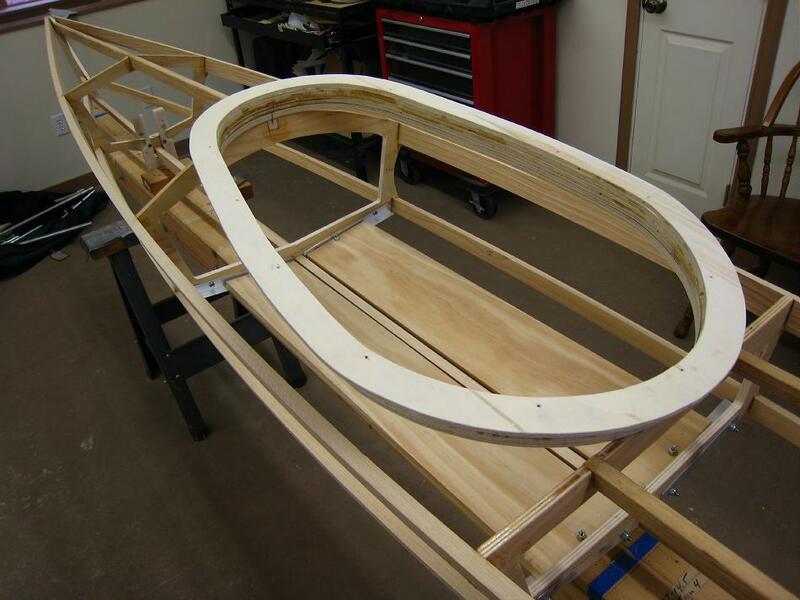 The frame can be removed and placed on cradles for finishing work.